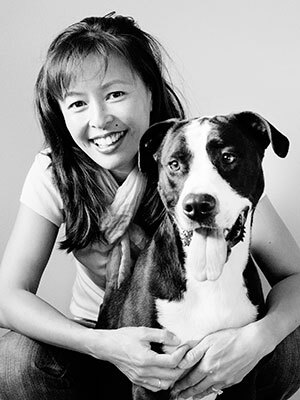 Dr. Justine Lee is the CEO and founder of VETgirl, a subscription-based podcast &amp; webinar service providing RACE-approved, online veterinary continuing education (CE). She currently also practices at the Animal Emergency &amp; Referral Center of Minnesota. Formerly, she was on faculty at University of Minnesota and the Associate Director of an Animal Poison Control Center. Dr. Lee trained at Cornell University, Angell, and University of Pennsylvania. <br><br>Dr. Lee has been published in numerous veterinary journals including JAVMA, JAAHA, JVIM, and JVECC. She has authored several veterinary textbooks and book chapters, along with two humorous pet reference books. Dr. Lee is board-certified in both emergency/critical care and toxicology, and lectures throughout the world. She is passionate about providing clinically relevant CE, and was awarded the Speaker of the Year at NAVC (2011, 2015, 2016). More information can be found at www.drjustinelee.com and www.vetgirlontherun.com. This two-part lecture will review the top 10 poisons that small animal patients ingest. Common toxicants such as cardiac medications, antidepressants, amphetamines, acetaminophen, NSAIDs, common household products, and food items (e.g., xylitol, grapes/raisins, etc.) will be reviewed. This lecture will review the mechanism of action, clinical signs, and overall treatment of these common toxicants.